Every year on Earth Day, I take a “nature walk” with my daughter and we look for cool things we can appreciate about nature. This became a tradition from when she was a wee toddler and I was looking for ways to celebrate Earth Day with her, to instil appreciation of nature and the importance of taking care of our planet. 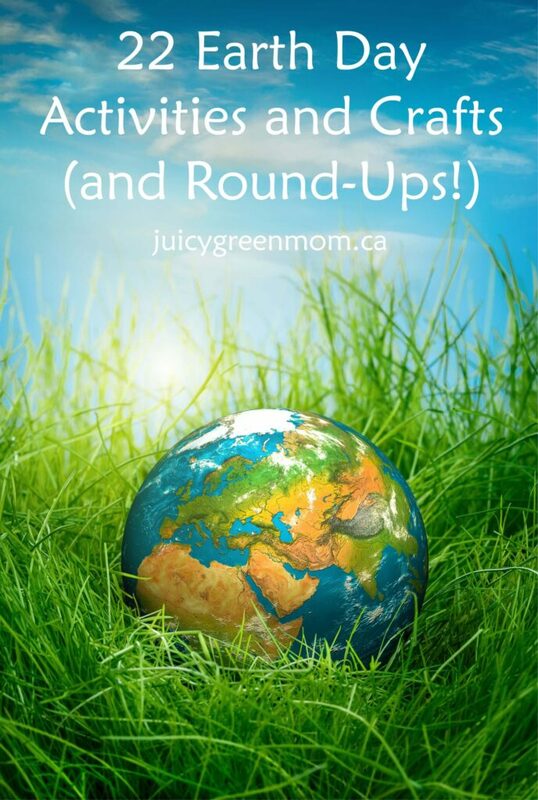 Whether you have children or not, there are so many different ways to celebrate Earth Day, big and small! 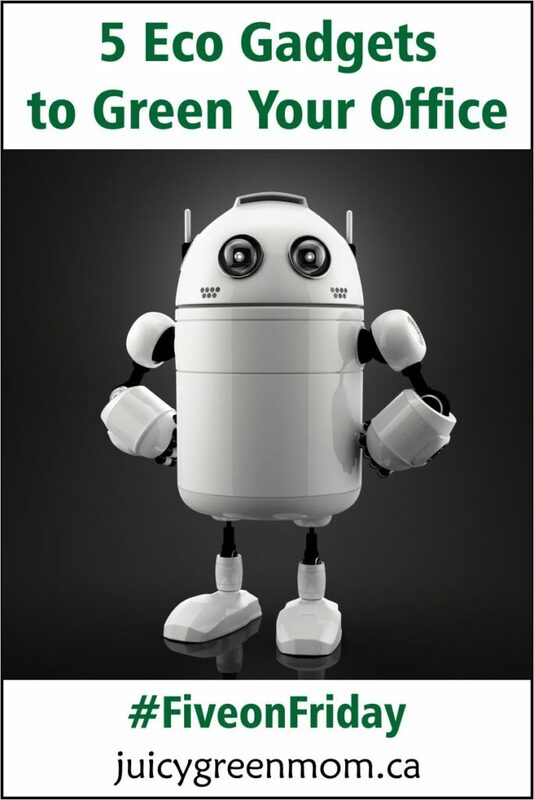 1 – Get my eBook Detox Your Home & DIY Guide for FREE! If you haven’t already, check it out! I use the recipes and tips in it ALL THE TIME. 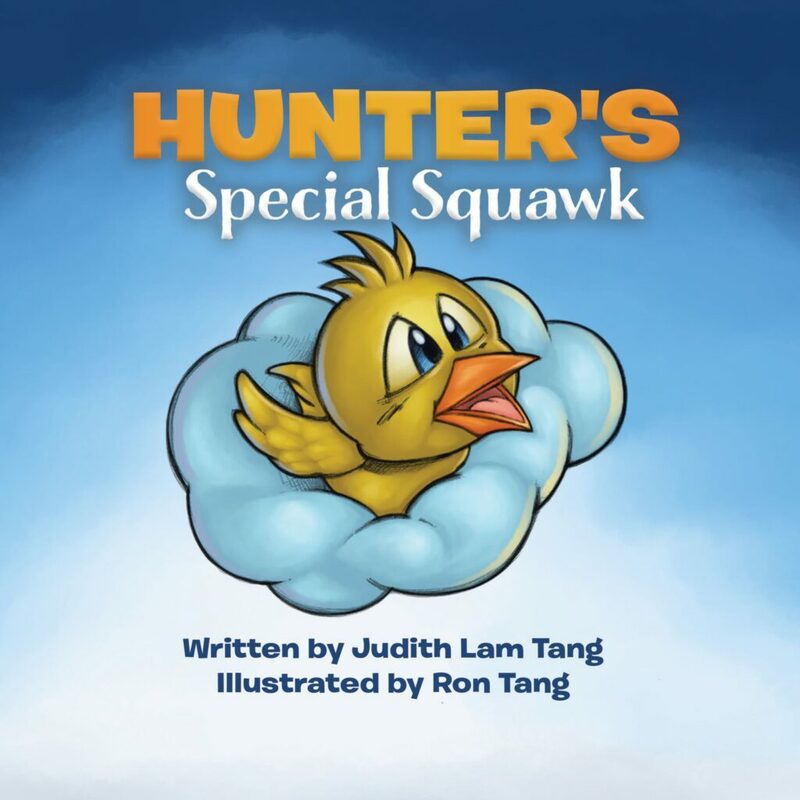 Free through April 19-23, 2018 only, so get it quick! 2 – Do a repurposing, upcycling, or earth-themed craft! 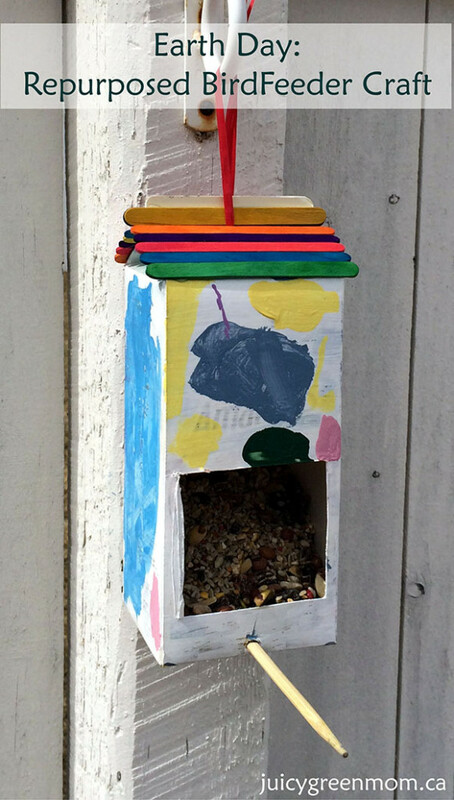 The repurposed birdfeeder craft I made with my daughter lasted a good 3 years in our backyard. You could also make a nesting ball for birds to use, sprout seeds, or make your own little earth. 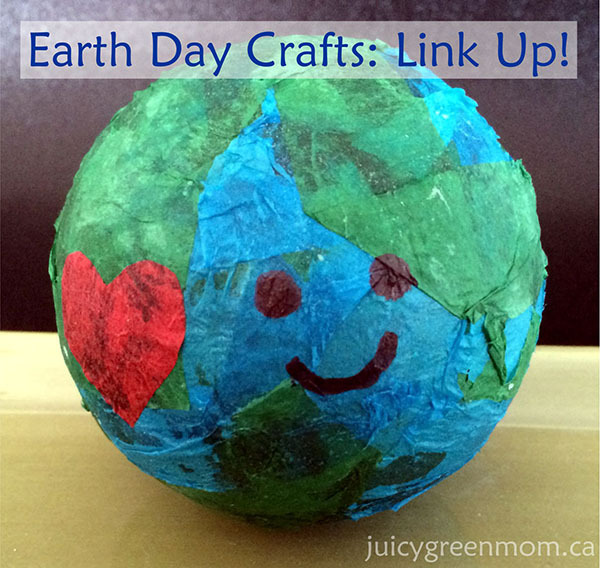 Want more Earth Day crafts? 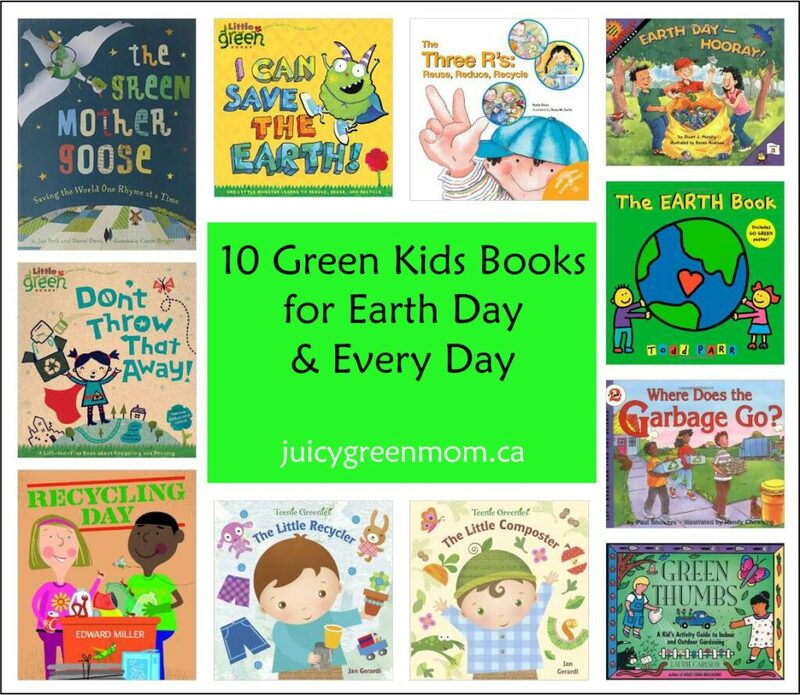 3 – Read an earth-themed book! 4 – Green your home office! Is there something in your home office that is less green than you’d like? Maybe you can find a green alternative like a solar keyboard, or a speaker made from recycled cardboard. 5 – Choose a tip to eliminate toxins! When I was a Queen of Green coach for the David Suzuki Foundation, I learned a lot about toxins that we encounter everyday. Choose a tip from my summary here to tackle the toxins in your life. 6 – Plant some pollinator-friendly seeds! Bees and pollinators are so important for growing our food. 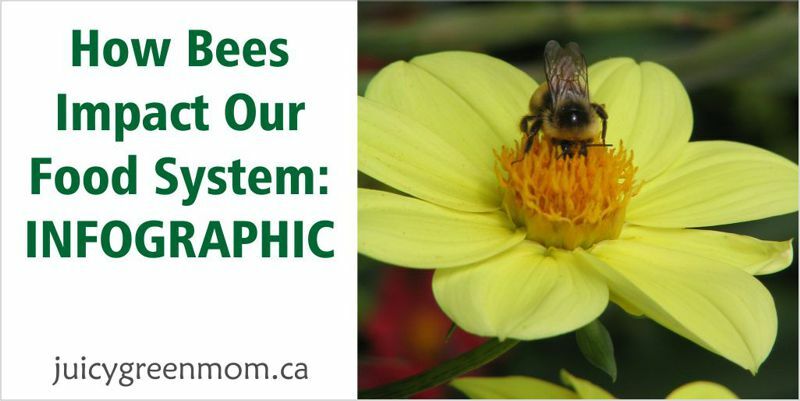 Check out this infographic to learn more about how bees impact our food system. 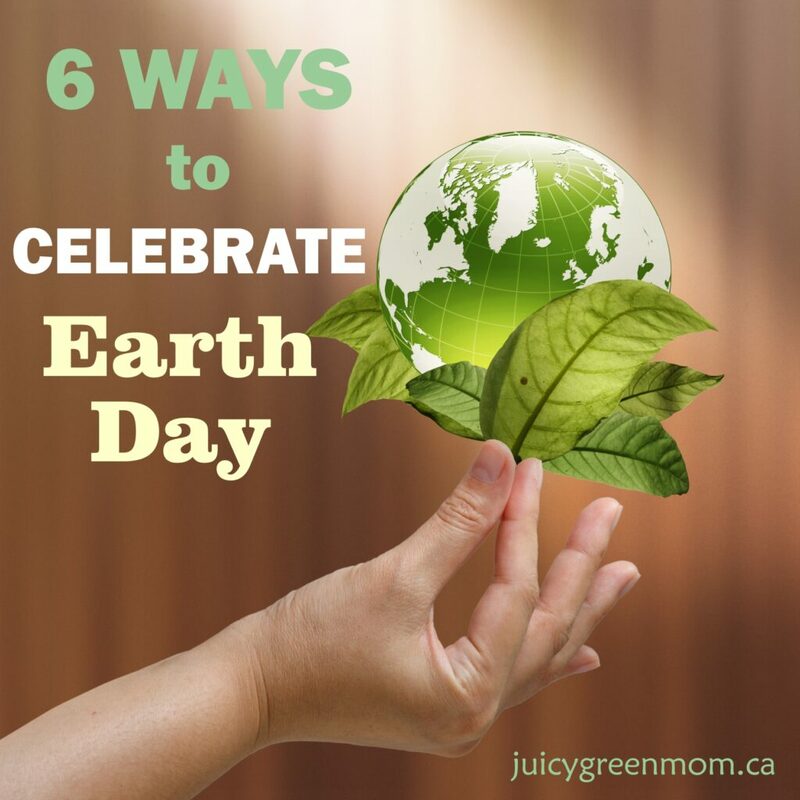 For more ways to celebrate Earth Day, I have 5 other ideas here.